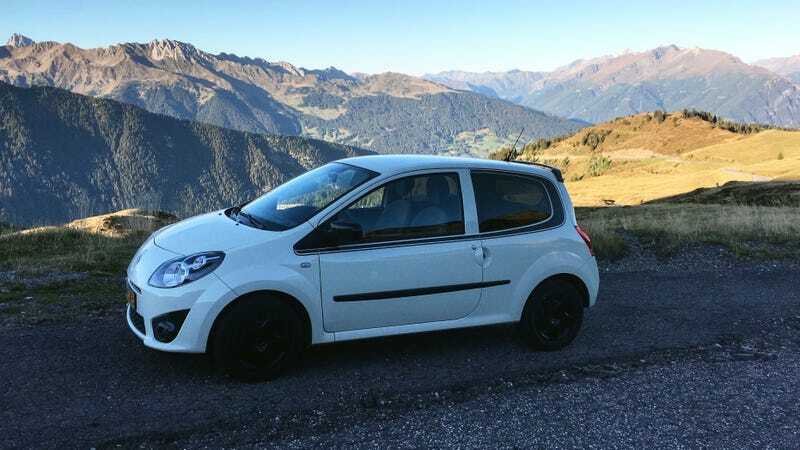 The Twingo survived the Alps! And the ‘Ring, and the Dolomites! I just returned from the Europpomeet in Germany/Austria/Slovenia/Italy, and I must say I’m impressed by the way the Twingo handled the mountain passes. Sure it was slow at times, the brakes got a bit hot, and overtaking took great amounts of planning, but all in all I had a bunch of fun. A large part of the fun was also due to the great company that I was in, thanks guys!